Syria’s Defense Minister has been killed in a suicide bombing in Damascus. A suicide bomber struck Wednesday in central Damascus. 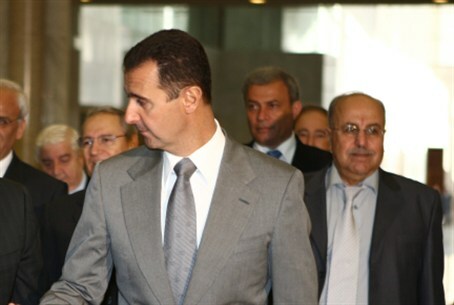 Arab media outlets reported that Syria’s Defense Minister, Dawoud Rajha, is among the dead. The bomber hit the National Security building during a meeting of Cabinet ministers and senior military officials. The Syrian Free Army claimed responsibility for the attack. Al-Arabiyya reported that Minister of the Interior Mahmoud Ibrahim was killed as well, while the Hizbullah media outlet A-Manar reported that the deputy Chief of Staff had died in the attack. Syrian media reported that Ibrahim is alive but wounded. Assad’s troops have surrounded hospitals where wounded state officials were taken for treatment. Rajha is the most senior official to have been killed in the ongoing conflict between Syrian President Bashar Assad and the rebel armies seeking to oust him from power. He also was the most senior Christian official in the regime. The attack came as the United Nations Security Council was scheduled to vote on a new resolution aimed at pressuring Assad’s regime into complying with a peace plan.